Natural gas can be found in various geological formations both onshore (for example, in the Rocky Mountains) and offshore (for example, in the Gulf of Mexico). Just like crude oil, natural gas is produced through basic deposit drilling and well system. However, natural gas deposits can have very different geological characteristics and therefore require different production techniques in order to extract it. 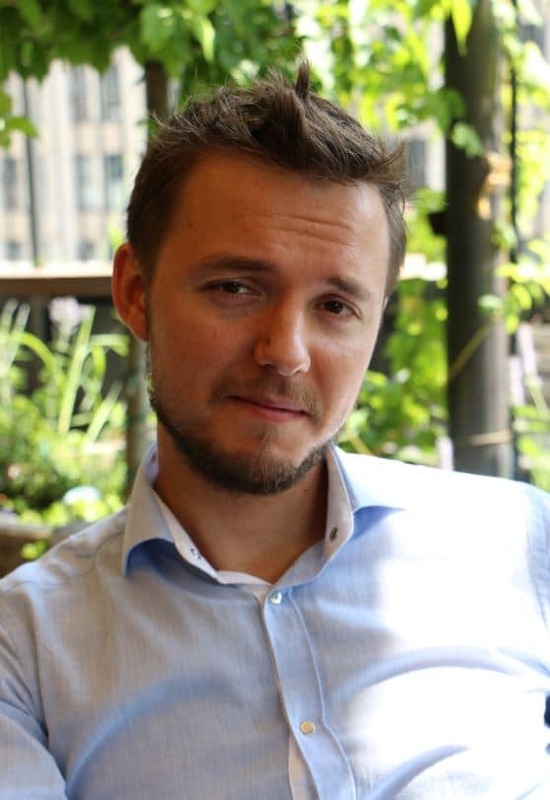 The industry distinguishes between conventional and unconventional gas. Conventional gas is trapped in various rock formations, such as carbonates and sandstones that have good porosity and permeability characteristics. It is easy, feasible and economic to produce. Unconventional gas is more difficult and costly to produce, since it is found in places with more complex geological characteristics, such as coal beds and shale formations. However, recent technological breakthroughs (specifically, hydraulic fracturing) have made unconventional gas supplies (particularly, from shale) commercially viable and have completely changed natural gas supply picture, especially in North America. Indeed, over the last 10 years, natural gas production in the US has increased by 44% (from 18.9 bcf in 2005 to 27.3 bcf in 2014). The output continues to grow in 2015 even despite a dramatic decline in the number of active oil and gas rigs. In fact, rig count has not recorded a single positive annual change since February 2011, indicating massive improvements in productivity. 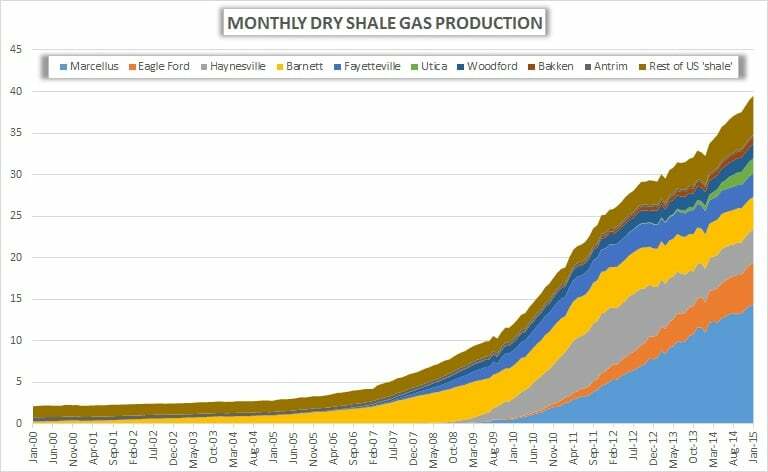 Most of US dry shale gas is produced across four geological formations. They are: Marcellus (Pennsylvania and West Virginia), Haynesville (Louisiana and Texas), Eagle Ford (Texas) and Barnett (Texas). Together they account for about 70% of dry shale gas produced in the US. Other notable areas include: Antrim (Michigan, Indiana, Ohio), Bakken (North Dakota), Fayetteville (Arkansas), Niobrara (Wyoming and Colorado), Permian (Texas), Utica (Ohio, Pennsylvania and West Virginia) and Woodford (Oklahoma). 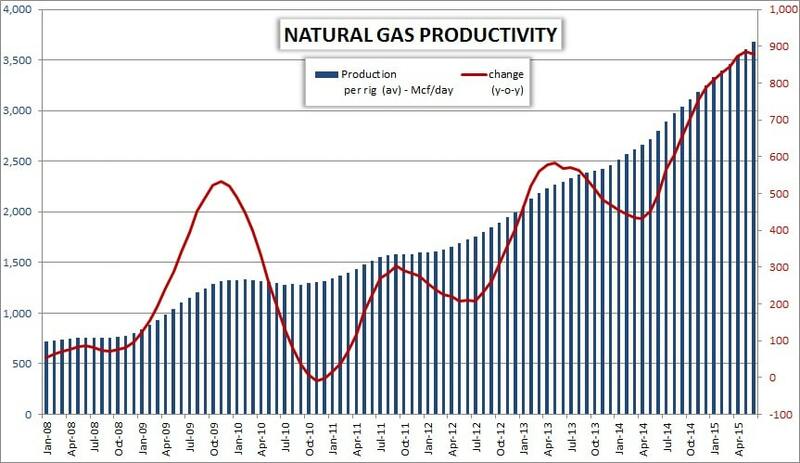 As already said, productivity has improved markedly, allowing US companies to extract more gas from fewer rigs. Energy Information Agency (EIA) publishes a monthly productivity report and their data is just staggering. According to EIA, average gas productivity across seven regions has increased five-fold over the last eight years. Analysts used to track weekly rig count data as a gauge of future output, but nowadays that data set has become virtually irrelevant. The number of active gas rigs has fallen from 914 in January 2011 to just 223 in May 2015, while average daily production increased more than 20% over the same period. It is therefore important to understand that when it comes to natural gas supply, the US is fully self-sufficient. National gas market does not depend on imports from oversees (only an insignificant amount of gas is imported via pipelines from Canada), which makes supply in the market more stable and more predictable. In fact, the US is planning to start exporting LNG this year, which will add to the aggregate demand. 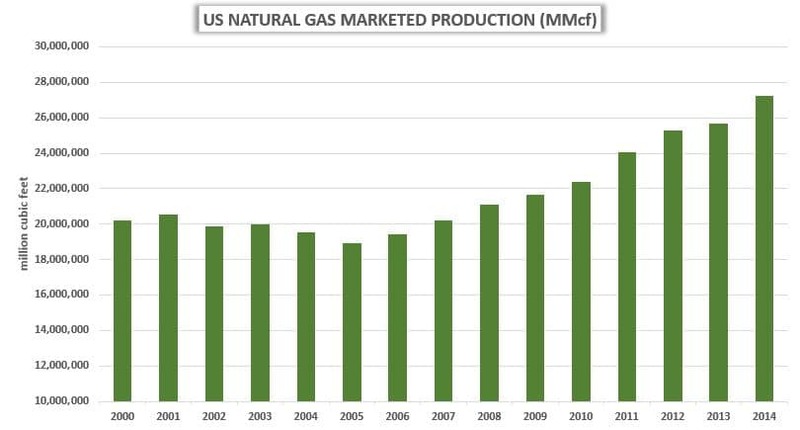 Natural gas supply in the US has increased dramatically over the last ten years, thanks to technological breakthroughs in extracting unconventional gas – specifically, for shale deposits. 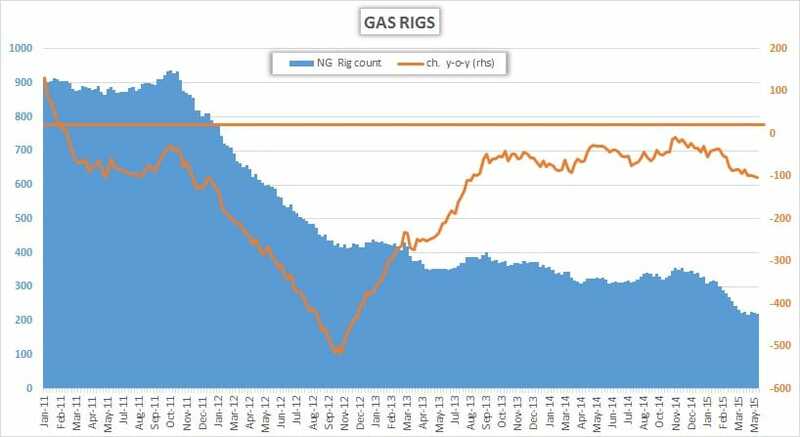 The number of active gas rigs has been consistently declining for the last six years (at least). Productivity per rig has increased tremendously. The US has huge natural gas reserves and is enjoying a firm supply of nationally-produced gas. LNG exports to Asia will begin this year, for the first time. In the next part of our natural gas series, we will take a closer look on the price of natural gas.